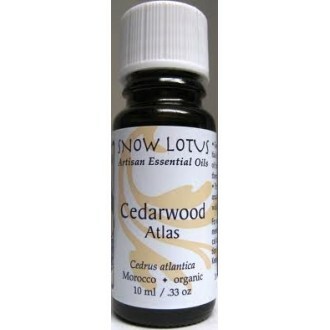 A warm, rich, sweet-woody oil from the majestic cedarwoods of North Morocco's Atlas mountains. Atlas cedarwood is calming, grounding and strengthening, and helps resolve worry, insecurity and emotional upheavals. The oil is helpful for burnout and for settling an overactive mind. Beneficial to oily or scaly skin and scalp, and hair loss.